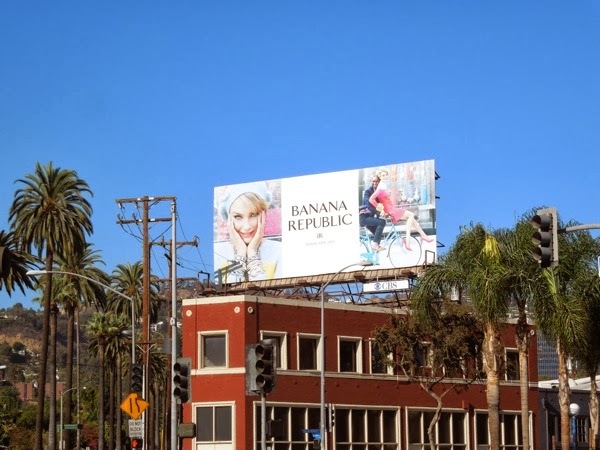 People living in L.A. often bemoan the distinct lack of changing seasons, so it's always nice when the skyline starts filling with more seasonal advertising to help you get in the festive spirit. 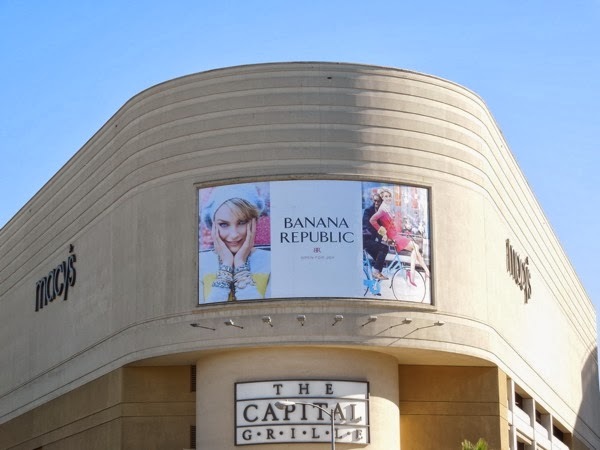 Banana Republic's Holidays billboard creatives are always a welcome sight and these colourful Open for Joy examples were first spied along Santa Monica Boulevard and Robertson Boulevard on November 5, plus later in the month on the side of the Beverly Center on November 24, 2013. 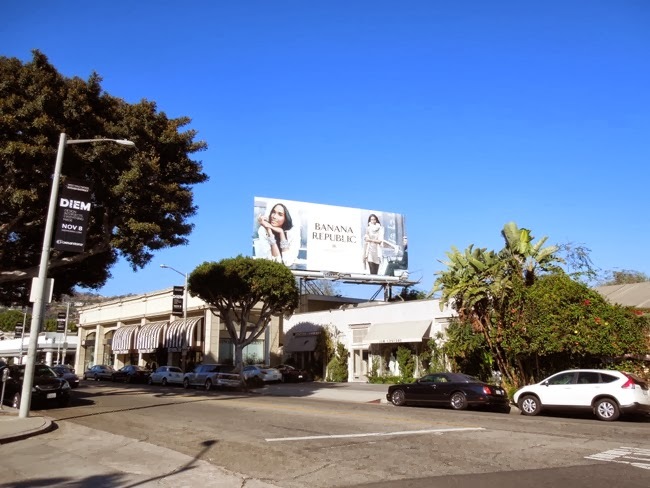 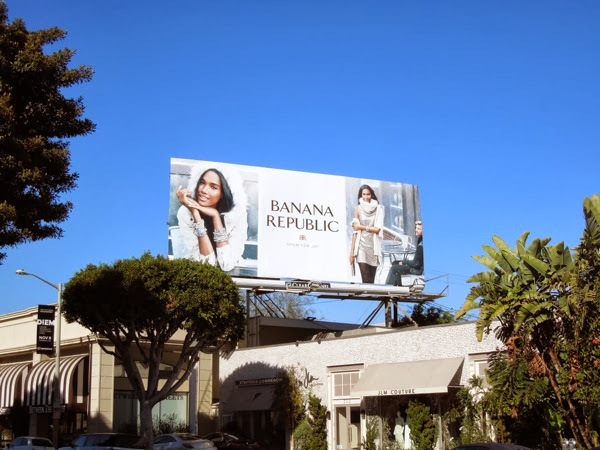 The fashion retailer's ad campaign last year was much more traditional rich red hues, compared to this year's shimmering wintery whites and powdery pastels, so be sure to take a look at Banana Republic's Holiday 2012 billboards to compare the two. 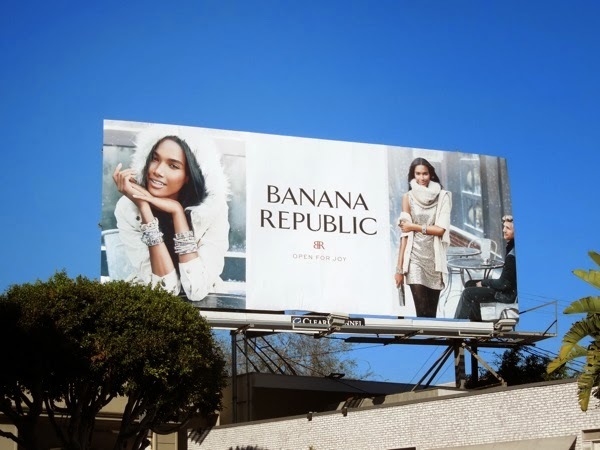 Plus, if you're a fan of the clothing store be sure to also take a look at Banana Republic's festive billboards from 2011. 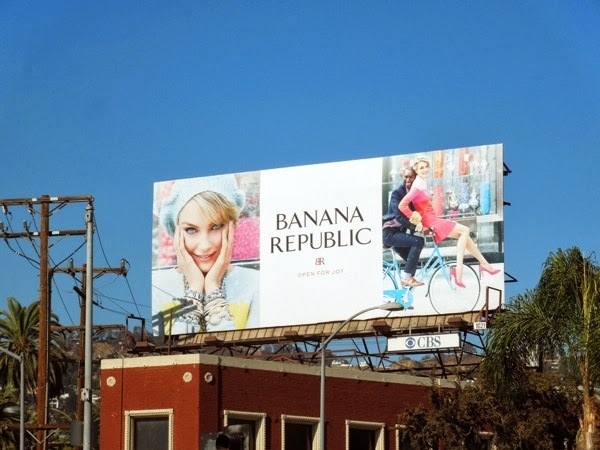 Hopefully all these joyful billboards will help you get into the festive spirit as the countdown to Christmas continues.